A reader pointed out that we don’t seem to do cell phones. That’s true. And the reason is they change so fast, you can become trapped into becoming a phone columnist. We don’t talk that much. But this one’s for you, dear reader struggling with Holiday decisions. If you’re in the market for a new phone, how do you decide between iPhone and Android? If you want an Android phone, which one? You hear about Apple’s iPhones all the time, and they’re nice, but Android phones are 82-percent of the market. We have a Samsung Galaxy S3. It’s still going strong after several years and we see no reason to upgrade. Our only annoyance is that some of the latest apps won’t play on older Android phones. 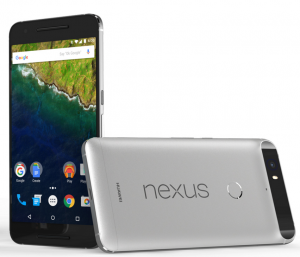 If you love having all the latest apps, the Google Nexus phone might be the best choice. It automatically updates itself every time there’s a new Android operating system. And at $380, it’s also cheaper than the latest Samsung Galaxy, model S6, which is $600. The latest iPhone costs $650. Do you think they follow each other’s pricing and adjust to suit? If not, it’s amazing how their costs are so close. Phone prices drop fast when new models come out. This has been the historical pattern for all electronic equipment. Twenty years ago we wrote that when the price of a new computer dropped below $500 (they were around $3,000 then), everybody would have one. Well now, new computers can be had for as little as $200, and as falling sales indicate, pretty much everybody does have one. If you search on the phrase “smartphones under $50,” you’ll find several on Amazon, including the Motorola Moto G and the Nokia Lumia 521 Windows Phone. Sellers on eBay now offer late model phones for less than half what they cost when new. Yes, we too are a little leery of buying from people we don’t know and live in distant places. We don’t buy that way often, but eBay provides ratings on regular sellers who have proven to be reliable. What else can you rely on with anybody? Life is a gamble. Last year’s model Samsung Galaxy, model S5, which runs all the major apps, has a number of offerings in the $200-$300 range. What about choosing between Apple phones and Android phones. We like them both. If you were to boil it down to a few differences, iPhones have better cameras, are a tiny bit easier to operate and have better tech support. Android phones have a back button, making it easier to go back to where you were and cost less. We still use the Samsung Galaxy S3, which we got three years ago, and are perfectly happy with an older model — probably because we’re not teenagers. We like it that it alphabetizes our apps automatically, so when a new one comes in we can easily find it. And as for the camera, we don’t find it necessary to take a picture of the lasagna we had for dinner. For important occasions, we bring our own camera. Well, what about Windows phones? The Lumia 950 has a dedicated camera button, and Word documents flow smoothly from your computer to your phone. Users rave about it; most reviewers trash it, saying it crashes often and has too few apps. They’re probably right. We read a complaint by a reader who said she couldn’t run Sirius radio on her Windows phone, so she couldn’t use it to listen in her car. If that’s what you want, that’s not the phone for you; we tend to just turn on the radio. Sony makes a nice waterproof phone, the Experia. That way you can call people when you’re diving for treasure. When you come to the surface, that is. (Being under water really dampens the signal.) And what about $14 TracFones, the kind you buy in grocery stores for $10? They’re a great choice if you don’t want to spend more than $100 for 365 days of service and you don’t need more than 200 minutes of talk time. And in an emergency you can throw them away when you don’t want your location to be tracked.